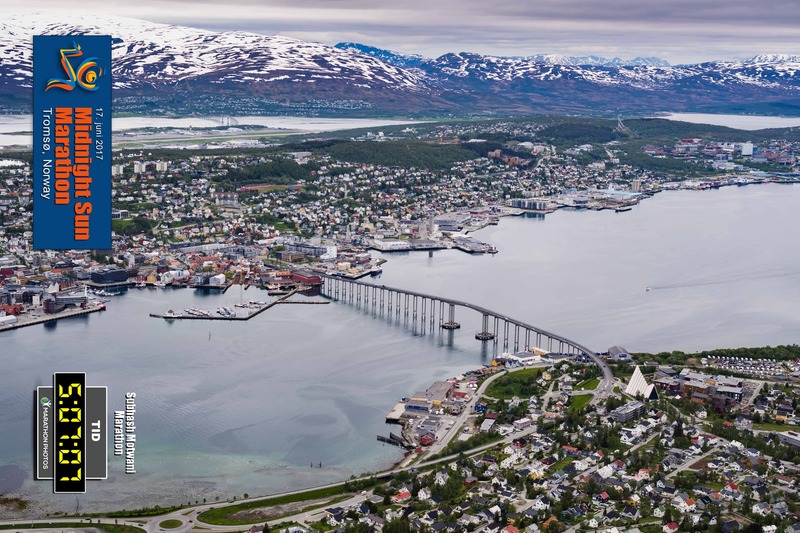 Tromso – beyond the Arctic circle , almost 2 hours north of Oslo, the capital city of Norway was the venue for my fourth FULL marathon, after having run the last 3 marathons in a span of one year in Amsterdam, Mumbai and Basel , having completed Basel in September 2013. 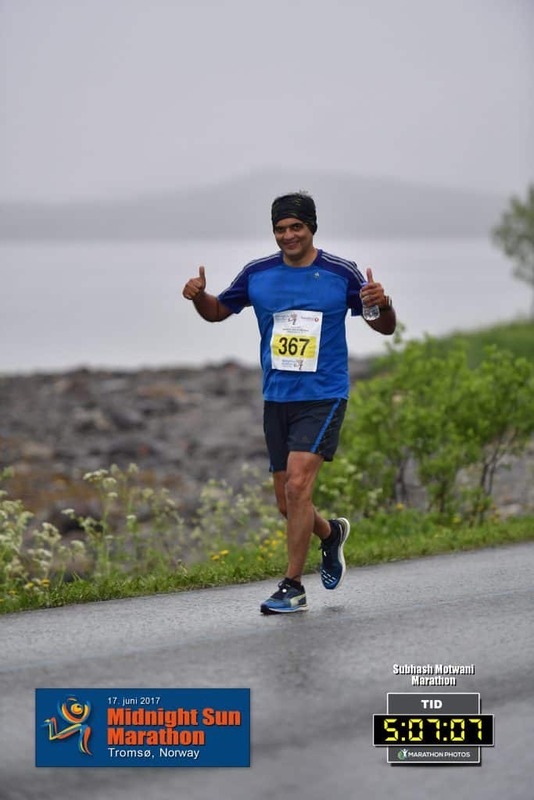 I was doing my first competitive run after a gap of almost 4 years – 3 years 8 months to be more precise after I had a back injury with a slipped disc and I had taken a break from running. It was a challenge to do a FULL marathon after a long gap especially as I just started training again in November 2016. 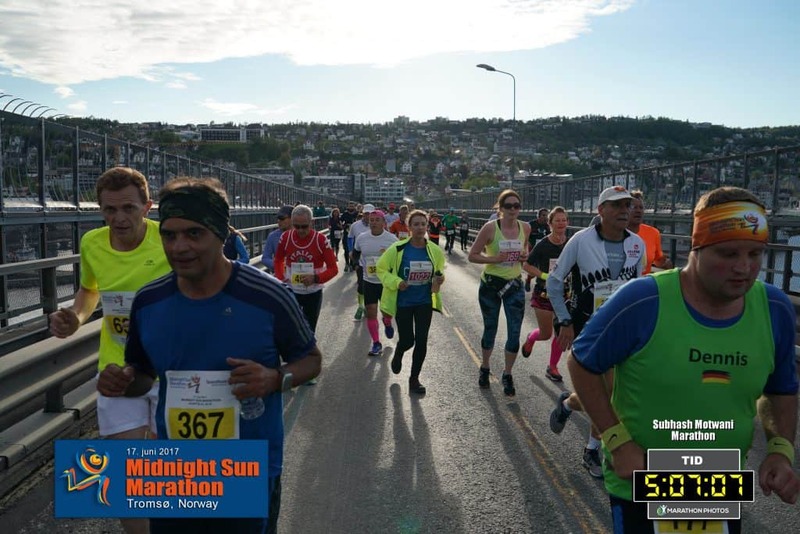 The Tromso MIDNIGHT SUN run is one of the unique marathons of the world and should be on your bucket list to run if you are an avid runner. 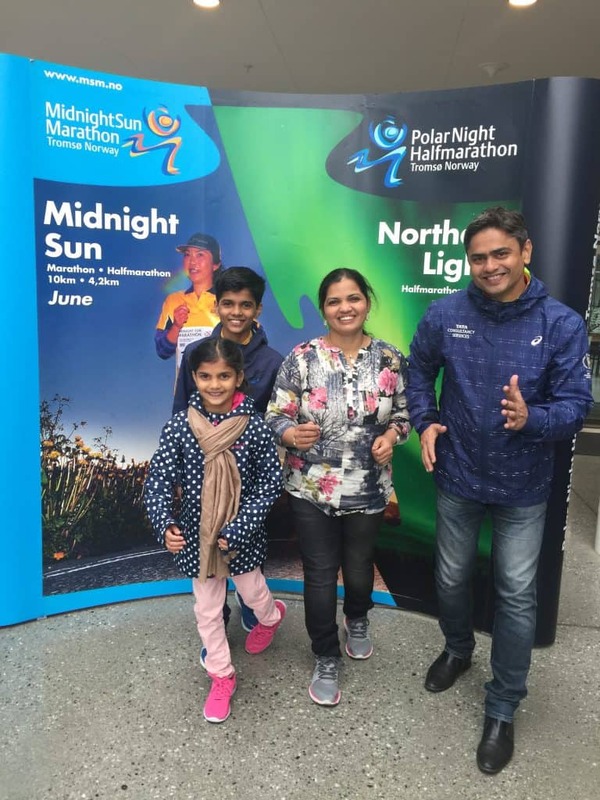 Unlike most marathons, you start the FULL marathon at 2030 hrs in the evening, the HALF marathon at 2230 hrs and for absolute amateurs and kids as well there is the 4,2 kilometre run , the Co-op Mini Marathon which starts at 1800 hrs. There is also the 10K run and Striders had runners across all age groups and across all categories participating for the various runs. We had Anand , the youngest participant at the age of 14 , who took part in the 4.2 km run, Anurag ran 10 km, Mr Joshi and Mr Desai are two senior veteran runners from Race Course and Powai respectively ran the half marathon and along with Jagannathan, Madhura, I ran the Full Marathon, not to mention Deepak and his wife Jyoti who ran the half marathon as well along with Vasantha. 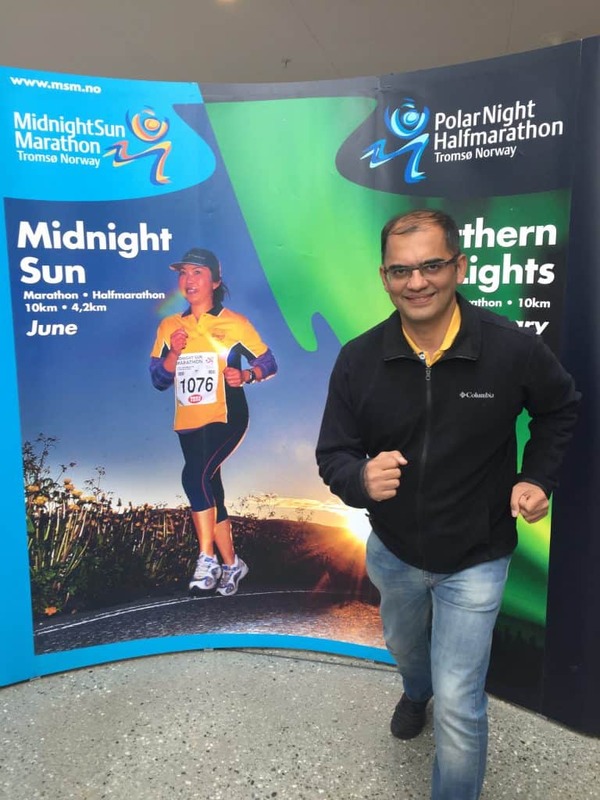 The experience was awesome and here I would like to share my first hand experience – the full marathon started at 2030 hrs and it was sunny and 12 degrees C when we started . We had to cross the bridge which goes to the other part of the town where the iconic Arctic Cathedral is located and we had two inclines on the bridge, before we could complete 20 kilometres. 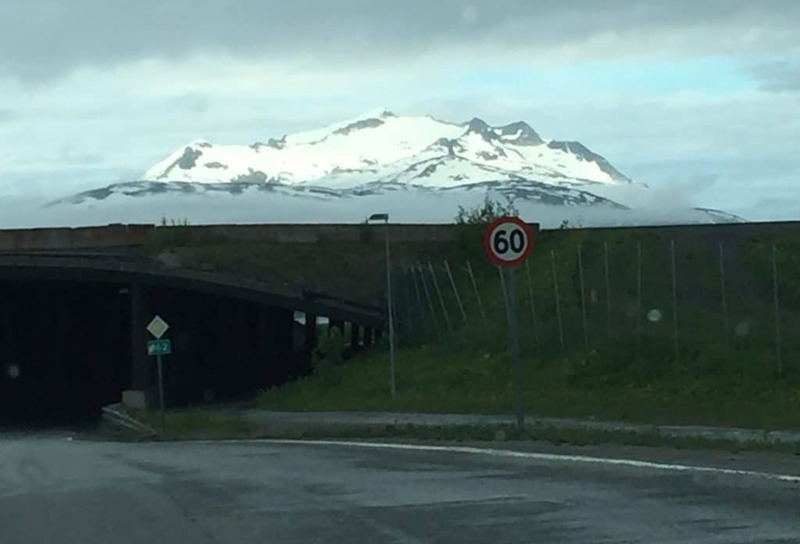 The route was scenic throughout with stunning snow capped mountains on either side. After a brisk start, having completed a little over 27 kilometres in the first 3 hours, I got cramps as the fundamental mistake I made was to run in shorts rather than a track pant and it took me 2 hours 7 minutes to finish the remaining 15 kilometres. If I had worn 2 layers of clothing, perhaps I could have a sub-5 finish. Thank god, I did not run with my phone or camera or I would not be able to finish within the stipulated time of 5 hours 30 minutes as the landscape en route was simply stunning – we witnessed not one but two rainbows, we experienced sun, cloud and rain and what was unusual was running at Midnight in broad day light as the sun never sets and the temperatures falling with every hour of run as we were in the coldest part of the day , or was it night ?!? 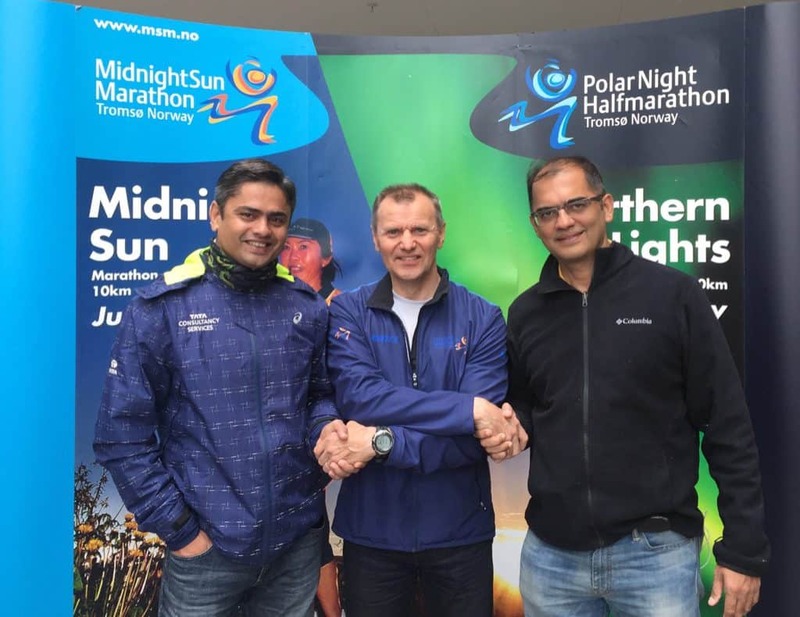 This is perhaps the most picturesque of all runs till date that I have done and I was glad to hear from the Marathon Director that they do have a Polar Marathon some time in January where , if we are lucky, we can witness the Aurora Borealis or Northern Lights whilst running the winter half marathon. There are several who did not finish the run and the reasons were diverse – stunning scenery being the main culprit, then running at night and also not preparing well as we do at Striders. Striders had a 100% success rate as all the runners finished within the stipulated time frame. As Namaste Tourism , we planned some amazing pre-tour excursion to Hella Island and Arctic Cathedral and post tour cruise including destinations such as Stockholm, Tallinn, St.Petersburg and Helsinki. I did my own recce to discover a few hidden treasures in Estonia and Finland that we could offer to Strider runners who wish to participate in the near future for either the Midnight Sun marathon in June or even the Polar Night Half Marathon with the Northern Lights experience. Striders along with Namaste Tourism have also entered into a collaboration to offer these unique runs and this is just the beginning of many Marathon tours that Striders and Namaste Tourism will offer in the coming years – Sight jogging tours , holidaying experientially in some unique remote locations across the globe.